Shape your face like all the movie stars do, with the all in one PRO Contour Palette. Highlight, blush and contour all in one with matte finishes. (No glitter, shimmer or sheen). 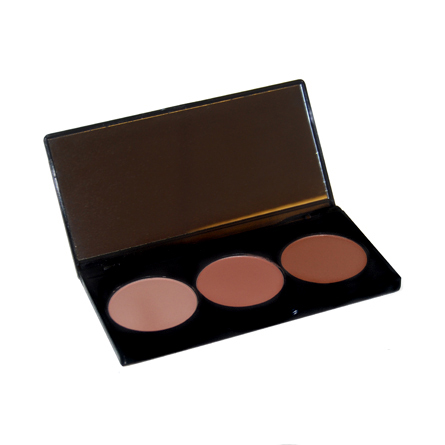 All three can be used as a blush, but they are created to give you that perfect sculpted contour.